The Beantown Bloggery: Ringling Bros. Pachyderm Parade - TODAY! 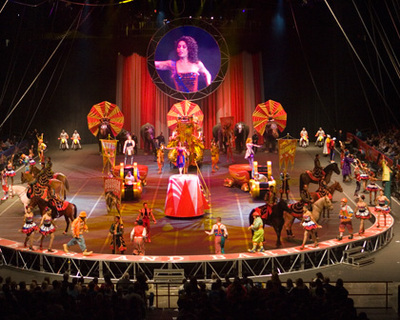 8 Response to "Ringling Bros. Pachyderm Parade - TODAY!" I dragged my son out of naptime from daycare and stood out there with my 7 month old on my back in the cold for an hour and never saw any elephants! Then on the news I saw they DID parade? Where?! How infurriating!!! K so not sure where you got your info on this event but me and husband went into the city yesterday, paid for parking, went down the route you said at the time you said and stayed in the area of TD Garden and Nashua St for a good 2 hours and NO ELEPHANTS ) : Needless to say I was very disappointed...not sure if I should trust your info on here?? Do you know what happened at all? Does anyone know when they will parade back to the train? Arg I feel your pain Margo! When did they do it? We didn't even seen any signs of them blocking off the roads or anything. I felt like a little kid I was so excited but what a let down. It would have been amazing to see elephants walking through downtown Boston! Maybe we can catch them on the way back to the train?? I cannot apologize enough. Here is what happened. I was sent a press release about the parade the night before from a marketing person, which I used for my post. The morning of the elephant walk, a subsequent email was sent out saying that they had changed the time to an hour earlier. Unfortunately, I cannot check my blog email while I'm at work, so I did not receive it until the evening and was too late to update everyone. There will be an apology post going up tonight to everyone regarding this incident, and I'm going to figure out a solution so that this doesn't happen again. For the time being, I'll probably refrain from posting events that don't have websites that accompany them. That way if there are changes to the event, ideally the event website would be updated in a timely fashion so that people are informed.